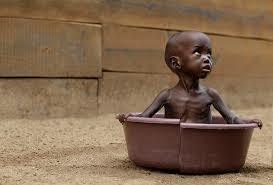 Malnutrition is a term given to over-nutrition and under-nutrition. One is said to be malnourished when their diet does not contain enough proteins and calories to facilitate healthy growth. Also, it can happen when the body is unable to make full utilization of the available nutrients as a result of being ill. Malnutrition is also definable as the imbalanced consumption of nutrients. There are several varying nutritional disorders that can develop based on the absence of nutrients or availability in excess. This article seeks to focus more on under-nutrition. Who Is At High Risk of Malnutrition? Adults who lose between 5-10% in their total weight over a period of 6 months or less without dieting are at high risk of malnutrition. Weight loss may not be obvious and may occur slowly over a period. You will notice this when your clothes no longer fit as they used to. Apart from weight loss, malnutrition can also cause easy bruising, poor healing of wounds and also dental difficulties. You can know whether you are malnourished by measuring your BMI. This determines if you are in a healthy weight for your height. Visit your doctor if your BMI is below 18.5 or if you lose more than 5% of your total body weight in less than 6 months. It is important for your child’s height and weight to be assessed by a GP as often as possible. This is essential in the first few years of growth. Contact your doctor if you have any concerns about your child’s growth rate. Calcium is one of the things one lacks in the diet when they suffer from malnutrition. This makes calcium a good home remedy. Since foods rich in calcium can cause lactose intolerance, calcium supplements are preferable. It ensures you get better and also strengthens your bones. This is one of the most important supplements that lacks in most diets. By taking iron supplements as a home remedy, you get rid of the possibility of suffering from the side effects of iron deficiency. Also, taking iron supplements ensures that your body gets enough levels of iron as most foods only supply a small amount. While suffering from malnutrition, the body lacks important nutrients, which include vitamins. Therefore, taking vitamins supplements when you are recovering from malnutrition is good for your health. Taking multi-vitamin supplements or specific vitamins that lack in your food is recommended. The correct balance for a meal should include carbohydrates, vegetables, fruits, dairy, fats and protein. The average person is supposed to consume at least 1.2 liters of fluid each day. It is important to replace nutrients that may be missing in your diet. You should consume a balanced diet at all times, and you may require increasing the number of calories in your diet at different intervals. At times, you may need nutritional supplements or liquid nutrition, all depending on how severe your malnutrition case is. If it is a severe case, hospitalization may be required. If you have an underlying medical condition that is causing the malnutrition, you must treat it to prevent prolonged nutrient loss. Also, chronic loss of nutrients can cause medical conditions that require treatment. Most cases of malnutrition are caused by physical, environmental or psychological reasons. Therefore, prolonged observation may be needed to ensure that adequate amounts of nutrition are consumed. Pay close attention to nutrition and maintaining a balanced diet, more so if the medical condition demands a special diet.